Everyone has a story – Ms. Pooja Sharma. I connected with her at one of the events, she is quite unique as a person. I believe that each one of us is special and we carry our own aura. For many they are one of the crowd however there are some who carve a niche for themselves, they are set in a different mould. A mould that many would love to trade with given the slightest opportunity. She is many talents rolled into ONE, a chef mentor, an educationist, a biker, a poetess, adventure enthusiast to be just a few of the many hats that she wears with elan. I wanted her story on IWH and approached her for the same, she did revert and how! 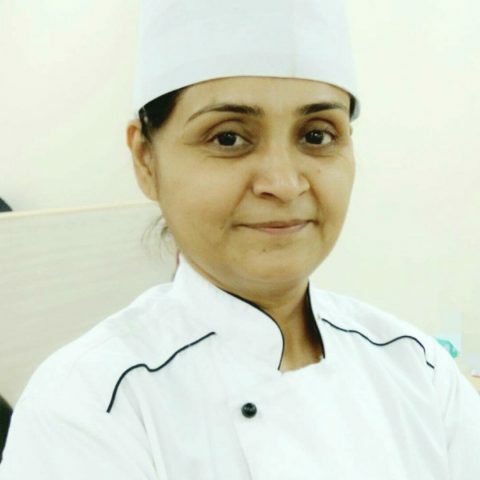 She answered my questions in a poem and here’s the incredible story of Chef Priti Bhanushali Punjabi, Chef – Professor at the Sheila Raheja Institute of Hotel Management, Mumbai. Philosophy is , Roar till you are alive ,silence is the sound of dead . A child born in , middle class , happy family ,with values conservative .A handsome father who was trustee to the community and he brought up children in the most conducive atmosphere. A child with 94% PCB ( physics ,chemistry and biology) was only suppose to be doing medicine , she started on the journey of the first inning . The life treated her good , but on her journey she was never away from books and students , she graduated , for Early childhood education programme and diploma In Special needs for children ,her passion to grow could not find any excuses to let her be. She says ,you don’t need competition from others , at the end of the day if there is nothing that I have learnt new ,means I have wasted 24hrs of my life ,a passionate cyclist, who is health freak and cycles almost 30 k.m 5 times a week ,an enthusiastic biker ,who had the guts to learn biking at the age when bones go sore,and a well balance happy and vibrant lady ,who has aura which is non-replaceable . Life went on , to soon be influenced by the movie ,” 3 idiots ” where the heart wins the sound viceversa the brain , and she started her journey of hospitality , at the age where most of us almost work towards retirement .she started her journey with students of her children’s age , but that too she took it as blessing and enjoyed her tenure understanding the psychology of student body and was loved and accepted very well ,along with her intellectual self ,proving her faculties that she is still the best .getting awards after awards and making her faculty proud . 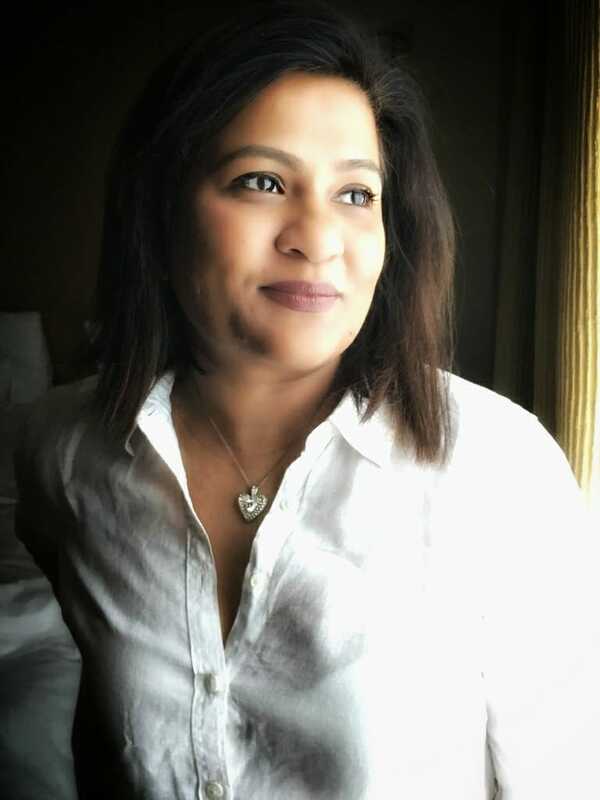 A lady with ,iron soul ,whose intensity of taking risk is worth the jealousy , with experience in TAj ,her consultancies in India and internationally ,setting up restaurants in ghana and Bali speak volume for her .Her carrier may be short lived , but her ideologies and her experience of working in an elite school of Mumbai , makes her what she is today , an Assistant professor in Sheila Raheja institute of hotel management , has major events that she has headed and made the college proud , her readiness of accepting any new challenge and working towards it ,to give a benchmark to other fellow colleagues has been spoken out loud . Her focus is ,”students and only students ” , she says ,”. When we would assist our surgeons ,in medicine ,they never screamt or shouted or spoke about the long hours they were working, we would work on the deceased and work towards life ,but we in hospitality industry work on ,dead and lifeless , and rave about stress and aggression and expect the staff to give you food that reminds you of your grandmother or mother ,a bleeding soul can never heal , and so everyone who cooks with this aggression cannot give u soulful food ,is for sure . 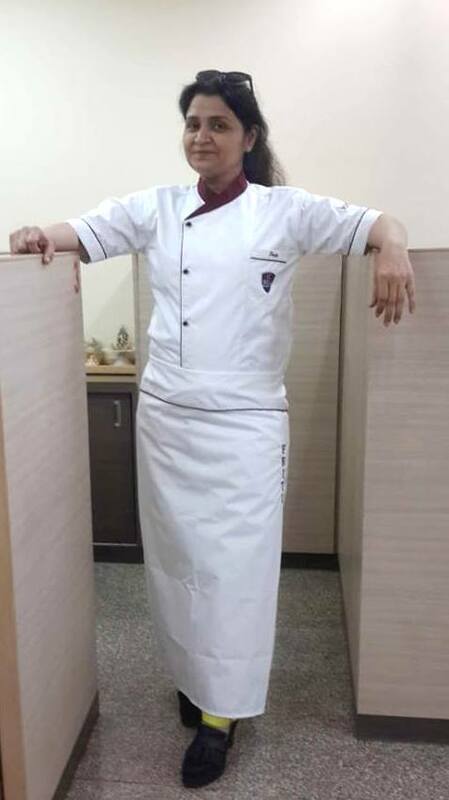 She is upset with the fact ,that a Industry ,which was the home for only skillful people who were under qualified is now filled with graduates from renowned colleges and educated family backgrounds ,we still are behaving like our ancestors in this Industry ,then grooming ourselves for better tomorrow…. May there be more of her tribe, we need good teachers who can inspire their students to become the best versions of themselves. As it is rightly said that we must attract the best into the teaching profession and she is one of the best!